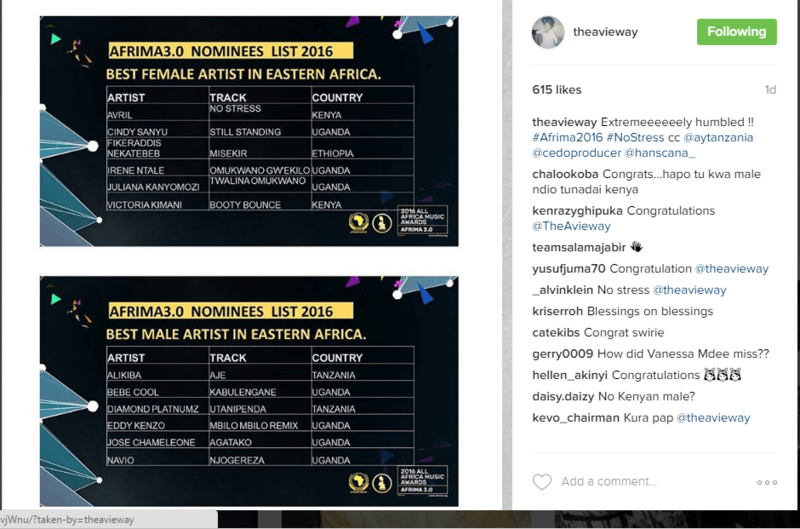 Avril has been nominated in the Best Female Artist(EAST AFRICA) category for the song No Stress. She will be going head to head with fellow Kenyan Victoria Kimani whose song with her song Booty Bounce. The first edition of the annual AFRIMA award ceremony was held on Saturday, December 27, 2014 in Nigeria. This year’s ceremony will be held sometime in November, keep it here for exclusive details when it finally goes down! Previous articleHull City Players to tour Kenya next year!